I’ve been seeing off the shoulder styles popping up more and more lately, I don’t know about you. Off the shoulder isn’t a new or novel idea, but I feel like it’s more of a trend this year than previous ones. Not going to lie, they can be a little annoying when they pop up over your shoulder, or fall down, when you’re moving around…but a cute enough trend to actually get over that! I found this top at Nordstrom and it’s since sold out on line, but I put together a few other favorites below that you can shop. 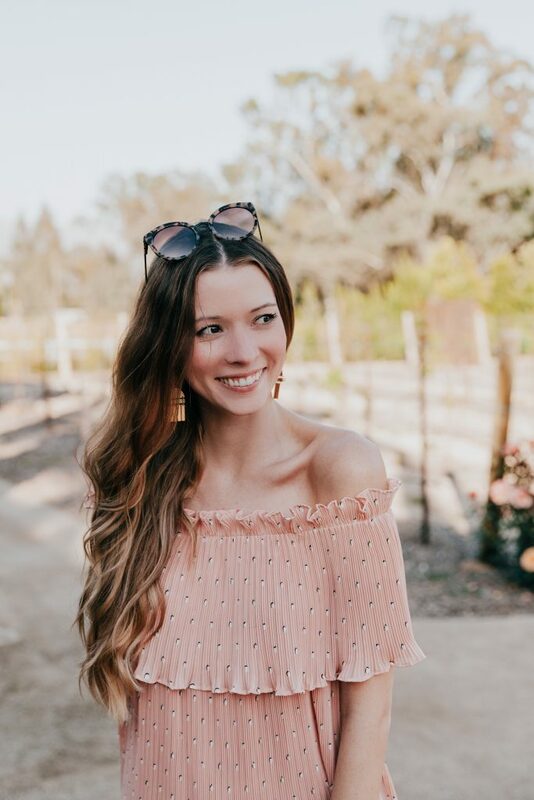 My top is a neutral pale blush color and print, but there are so many cute and bold options out that I’m DYING to get my hands on! You can get ties on the shoulders too, long sleeve or short, smocked or not, etc. The option are endless and you can find such cute options at literally ALL price points. 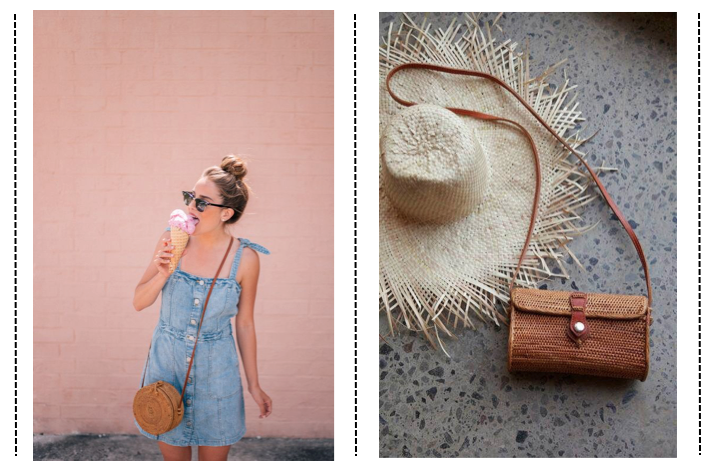 Ok, is it just me, or are you also seeing straw bags pop up EVERYWHERE lately? I’m not kidding, every blogger, every brand, has their version (or multiple). At first, I wasn’t SUPER into it. But I have to admit, it’s growing on me. So because the trend seems to be exploding in front of our faces, I thought I would round up some of my favorites out there right now. Shall we get started with a little inspo? What’s not to love about a kimono with some added dramatic fringe? I fell in love with this piece when I stumbled upon it at a Buffalo Exchange in Sherman Oaks a while back. Such a random find, but it’s perfect! Best part? It transitions perfectly into fall with a pair of jeans and cute top. The floral print and breezy silhouette makes this an easy outfit maker. I kept it super simple and layered it over a simple black knit dress and my go to summer sandals from Chinese Laundry. Lounge wear pants have been popping up as a trend for a while now, and I’ve decided to give ’em a try! These babies were another Abercrombie & Fitch steal (and they’re still in stock and on SALE!). I was shocked to find so many cute things on their site- they’re definitely moving in a new direction. I like it!